Celebrating John Adams—Would John Adams Approve? Some historians had a chance to see parts of the upcoming H.B.O. miniseries on John Adams in their role as reviewers for the news media. And of course historians are particularly touchy about details of, well, history. Here are a couple of the responses I’ve seen. 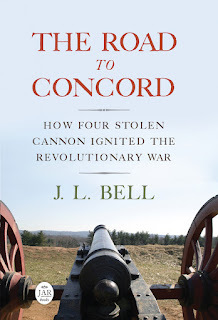 In a review for The New Yorker, Harvard professor Jill Lepore suggests that, while this miniseries might reflect how John Adams would have liked to see history portrayed, maybe—just maybe—he wasn’t responsible for everything good that happened in the American Revolution. It was, after all, a mass movement that involved millions of people. Actually, the inoculation of Abigail and the Adams children against smallpox—more blood; also pus—is nearly the most terrifying scene in the four episodes made available to reviewers. It’s second only to the tarring and feathering of a British customs official in Boston, the brutality of which Adams watches with horror, in a masterly sequence that exposes the violence of insurrection and helps explain the future President’s enduring fear of democracy. It’s a telling scene, because there is no historical evidence that it ever happened. . . . There was a riot in June of 1768 over Hancock’s ship, the Liberty, in which customs officials were beaten, but there is no evidence that Hancock or either Adams was at the scene of that riot, nor is there any record that anyone was tarred in the event. . . . The scene does convey, accurately, John Adams’s hostility to mob violence. . . . But it does so by inaccurately, well, tarring the reputations of Hancock and Samuel Adams, and by conjuring a situation that there is no evidence existed. Such are the compromises attendant in turning history into a seven-part miniseries for television. . . . [David] McCullough is so deservedly celebrated as an author not only for his skill as a storyteller but for his care with research and facts. So it is disappointing to see the television version of his bestselling biography make such departures. Indeed, both the Liberty riot on 10 June 1768 and the first tar-and-feathering in Boston on 28 Oct 1769 are documented in detail through the complaints of the victims and other Customs officials. If any of those men had seen or heard about Hancock, Adams, or any other well-known Whig leader directing, encouraging, or even silently watching the mobs, they would have publicized that detail. As Stoll notes in his review, the top Whig leaders actually discouraged violent attacks on Crown officials and supporters, on the grounds that they discredited the cause. At different times in 1770 William Molineux kept a crowd from lynching Ebenezer Richardson after he shot young Christopher Seider, and Dr. Thomas Young helped to prevent Scottish merchant Patrick McMasters from being tarred and feathered. There’s actually a link between the seizure of the Liberty and that first tar-and-feathers attack, which might have been why scriptwriter Kirk Ellis combined them. Though the smuggling case against Hancock was eventually dropped, the Customs service kept his ship and used it to chase down smugglers off Rhode Island. One of the sailors it employed, George Gailer, was spotted in Boston in October 1769. A mob seized him, stripped him, and covered him with tar and feathers. Gailer sued seven people for this assault: Newport merchants Eleazar Trevett, Jr., and Benjamin Trevett; Newport mariner Daniel Vaughan; Boston mariner Edward Mathews; Boston tailors David Bradlee and Pool Spear; and a minor named David Provence. The defendants responded with a demurrer in Inferior Court, neither affirming nor denying the allegation but suggesting Gailer had no cause to sue. That court decided in their favor in January 1770. Gailer appealed but failed to appear in August 1771, and the case was dropped. Based on an account-book entry, the attorney who represented David Bradlee in this matter was that opponent of mob violence, John Adams. I'm looking forward to this miniseries, but I am VERY disappointed that they brought Sam Adams and John Hancock into the tarring scene. There is another historical error later, showing Adams casting a tie-breaking vote to approve the Jay Treaty. McCulloch's book correctly says the treaty was approved by a 2-3ds vote (as is mandated by the Constitution), with Adams unable to say anything in the debate at Vice President. This new myth served no valid dramatic purpose, and only adds another barnicle to our overburdened mythical history. A good point about the vote on Jay's treaty. As the records of the Senate show, there was a series of 20-10 votes leading up to final approval, and Adams didn’t have to vote. That extends the miniseries’ tendency to make John Adams even more important than he really was.